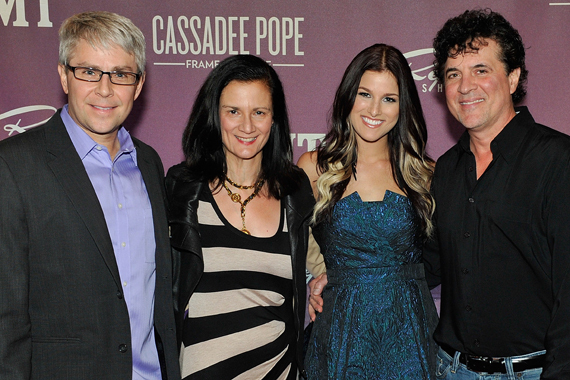 In anticipation of the Oct. 8 Republic Nashville CD release, titled Frame By Frame, Cassadee Pope revealed the first episode in a six-part CMT series at an exclusive viewing at Nashville event space Ruby Wednesday night (Sept. 25). The first episode of Cassadee Pope: Frame By Frame features recording sessions at Blackbird studios in Nashville with MusicRow Producer of the Year Dann Huff and Borchetta in addition to visits to Arizona radio stations KNIX in Phoenix and KMLE in Tempe, Ariz. Each half-hour series will reveal behind-the-scenes footage of Pope’s journey through recording her album and music video, in addition to performance preparation for the CMT Music Awards and the release her first single to radio. The CMT series premieres to the public Friday, Oct. 4 at 10 p.m. ET/PT on the network in advance of Pope’s album, Frame By Frame, released four days later.